Yard Management - Are you Flying Blind in your WMS? Yard Management – Are you Flying Blind? Yard Management- Are you flying blind? 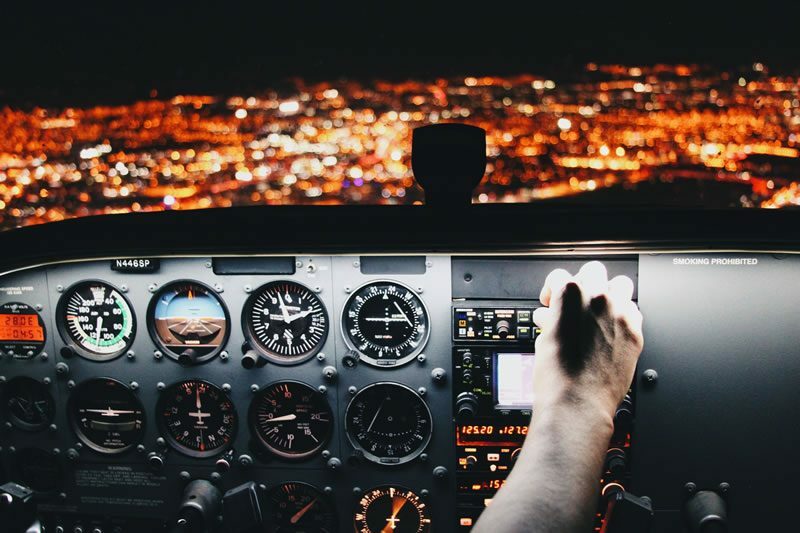 Flying blind, a commonly heard expression that literally means to fly an airplane without the ability to see, relying on the plane’s instruments instead. By extension, it generally means doing something based on guesswork without help or instruction. A Warehouse Management System (WMS) is much like a pilot’s instrument panel. Without the right gauges, managing daily activities in your operations, like Yard Management, can feel like flying blind. WMS software generally does not provide adequate, if any, visibility for the yard. This deficiency leaves facilities to devise manual processes to maintain control of the yard. Paper check-in or a spreadsheet are commonly used for tracking trailers, which may limit access to this information. Further, these lists or spreadsheets do not detail other factors related to the trailer’s contents or future demand, causing a blind spot for the facility. Visibility to yard activities is key in maintaining any yard. Simply put, the yard is an extension of the warehouse. Inventory housed in trailers in the yard may be:- inbound and needed for upcoming shipments- outbound waiting for a carrier’s pickup- storage when the facility has reached maximum capacity. Proper visibility helps the warehouse make smarter, quicker decisions when reacting to product demands, customer inquiries, etc. From enhanced appointment scheduling and visibility to both door and yard with graphical displays, the newest versions of JDA WMS deliver. Once you’ve seen and used this functionality, you will not want to go back to paper or spreadsheet tracking. The star of the Yard Management functionality, in my opinion, is Door Activity. This web user interface screen packs some serious efficiency gains with a ton of actionable information in one place. Door Activity has a schedule-type layout which displays by door what equipment it contains, appointments scheduled for that door and a complete list of the yard locations and contents for the warehouse. Trailers checked into the yard or door are displayed in a color-coded manner depending on their type: Receiving, Shipping or Storage. Color saturation, at a glance, provides the user with status of the trailer (loaded, partially loaded, empty). In addition, visual cues are provided for each trailer, i.e., if the trailer is Live, Late for their appointment, Hot for an outbound order and many, many more statuses. Even better than the extremely clear color-coding are the actionable functions. Hyperlinks provide direct access to the Carrier, Trailer, Appointment or Shipment details for each trailer. Actions are available, and change based on the type of trailer and the trailer’s status at the facility such as moving, unloading, closing and dispatching. Yard Audits may be triggered in Door Activity when verifications need to occur. With all this and more, JDA WMS has the right instruments to guide your warehouse to a clearer horizon without blind spots. Contact Open Sky Group today to discover more about JDA WMS and Yard Management and what it can do for your operations.